If you’re working in a digital team in government you will already be well aware of the digital spend controls that the Cabinet Office introduced 3 years ago. We’ve recently updated our guidance on spend controls and our annotated version of the spend control form to support the relevant teams in DH and in our arm’s length bodies. The primary purpose of the guidance is to help teams who are building, buying or commissioning digital products or services to ensure they are high quality, user-centred and value for money. We explain the basics of the Government Digital Service’s methodology in developing digital services, we outline the process for seeking spend approval and set out how to take your services through an assessment against the Digital by Default Service Standard. But, it’s not a manual that will tell you everything you need to do. The problem with sharing methods and process is: what level and depth of information should be provided and in what form? Large ‘how to’ manuals are overwhelming. But, lists of rules don’t carry enough information. I like to compare our spend controls guidance to the Highway Code. The ‘Road Traffic Act 1991’ affects everyone who drives but the documents are written for a legislative audience. It’s clear that you should drive considerately, but there’s no detail on how that should be done. At a yet a more detailed level, The Royal Society for the Prevention of Accidents (ROSPA) gives so much information there is only room to re-direct you to their website, where you’ll find 151 pages on braking alone! So, our new spend controls guidance compliments the Government Service Design Manual and Cabinet Office controls guidance with Highway Code-type detail. It’s not trying to give all the answers, at least not at a very detailed level. It should be seen as advice about how to apply the methods and what happens at each stage of the process. As a community that builds and improves online services we need to have the right digital capabilities. No amount of manuals or handbooks can replace that. But, with access to the right information, that capability can be enhanced and supported. 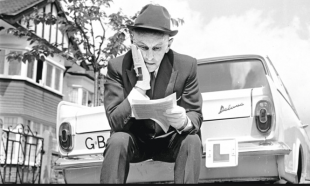 Most of us will have seen the Highway Code as invaluable when we were trying to pass our driving tests, but probably haven’t looked at it much since. If we think of the spend controls guidance in the same light as the Highway Code, but actually use it when working on digital services, the guidance will provide valuable support in developing and gaining approval for our digital developments. We welcome feedback on this guidance and how we can improve it further – without getting into the detail of the ROSPA!